Lindsay Wright Wins The 2013 Sue Alexander Award! Sue Alexander, author and first SCBWI member ever! "The Master Clock of Paris" is the manuscript Lindsay Wright submitted at the recent #LA13SCBWI (The SCBWI 2013 Summer Conference in Los Angeles) for critique. It was nominated by her critiquer, then selected as the most promising manuscript from all the summer conference's critiques. Sue Alexander herself used to determine the winner, now, a three-member panel from Sue's writing group of 20 years makes the final selection after the conference. The MASTER CLOCK OF PARIS (YA) by Lindsay Wright is an intriguing young adult novel. Seventeen-year old Marion arrives in Paris on a scholarship to study art, but her real goal is to find her mother who went off to France ten years earlier and never returned. Marion finds herself trapped in an alternate Paris and discovers a connection between her missing mother and a clock that reverses time. Engaging writing, vivid details of time and place, touches of humor and a strong character make this a compelling story. Kudos to the two runner ups as well, Mary Cecilia Jackson for her YA, "Sparrow," and Linda Hearn for her MG, "Branded." The SPARK Award is a new annual award that will recognize "excellence in a children’s book published through a non-traditional publishing route." One winner and one honor book will be chosen by a panel of industry professionals and will focus on quality of writing and concept, quality of illustrations (if applicable), professional presentation, and editing and design. 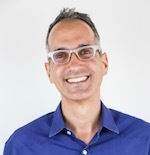 "...it is time that SCBWI recognize that there are new models for publishing. The Spark Award is one way we can reward those authors and illustrators who are pursuing independent and self-publishing in a legitimate and high quality way." "The winner will receive a Spark seal to display on their book, a commemorative plaque, have their book featured in the SCBWI online bookstore and marketed on SCBWI social networking sites, and receive the opportunity to sell their book at the SCBWI Summer or Winter Conference in Los Angeles or New York." For more details on the new SPARK Award, go here. And make sure to check out all the amazing awards and grants SCBWI offers its members! 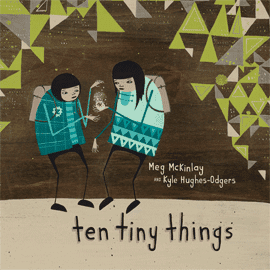 The 2013 Crystal Kite Winner for the Australia/New Zealand Region is Meg McKinlay (author) and Kyle Hughes-Odgers (illustrator) for their picture book "Ten Tiny Things," published by Fremantle Press. Crystal Kite Winners Meg McKinlay and Kyle Hughes-Odgers at the book launch for "Ten Tiny Things"
Meg: Ten Tiny Things is a picture book about a simple idea -- about slowing down and being mindful, about really being in a place rather than simply whizzing through it on the way to somewhere else. It's the story of Tessa and Zachary, whose car breaks down one morning, meaning they must walk to school rather than being driven as usual. And so they set off grumbling about the hot hilly horribleness of it all, but along the way begin to notice small, interesting things they had never seen before from the car, which, despite its 'cool, calm convenience', transforms everything into a big foggy blur. The idea for this book came from a game I used to play with my daughter. But before that, it came from my own childhood. I grew up without a car and had to walk or ride my bike to get to most places I wanted to go. There were times when I found this annoying but it also brought benefits. It forced me to move slowly through the world. I became a wanderer. We lived near the bush and I was always off roaming and exploring. And even when I was in the city, I found myself observing, heading down secret laneways, climbing up staircases to see what was at the top. Sometimes this got me into trouble. But it was always interesting. Whenever I travel, I always think the best way to know a place is to walk and walk and walk it as much as possible. So when I grew older and started driving, I kept walking. And I wanted my daughter to do the same. I wanted her to see the inherent value in it. Yes, walking is good exercise. And if you choose walking over jumping in the car, it's good for the environment. It can also make economic sense, given the cost of petrol. But it wasn't about those things for me. It was about slowing down, about taking time. It was about being in the world rather than just moving through it on the way to somewhere. So we would take walks around the neighbourhood and without really thinking about it, I would point things out, as I'm sure all parents do. Oh, look at that shiny thing. Come and stamp in this puddle. Look, someone wrote their name on the footpath. Is that a bird's nest up there? And somewhere along the way it turned into a game. Being lovers of clever word-play we of course gave this game a most cunning and catchy title. The name we came up with was, "Things We Would Never Have Seen If We Had Been Driving". The first person to reach ten interesting things was the winner. Though we would often become so caught up in the things we were noticing that we would lose count or forget to declare a winner anyway. We had been playing this game for several years before my writer's brain finally switched on and realised there might be a book in there somewhere. It was around the time I had been on the receiving end of some odd remarks from other mothers over letting my daughter walk home from school (whether with me or alone) because it was 'so far' and it was 'so hot', and perhaps that's why I decided to embed the broader idea in a 'walking to school' narrative. Lee: Okay, I need to go out walking with my daughter now. Maybe to the library, to get your book! How long have you been involved with SCBWI, and can you share what you feel you've gained by being a member? Meg: I've been an SCBWI member (we say 'a SCBWI member' because we tend to pronounce it SQUIBBY over here, as wrong as that may be!) since 2006, and ARA for SCBWI Australia West since last year, something I still find curious since I'm not generally much of a joiner. However, I’ve found SCBWI to be such an incredibly welcoming organisation, supportive of gregarious networkers and solitary hermits alike, and also professionally useful in so many ways that go beyond the simple gleaning of facts and contact details. The wealth of knowledge among members, so generously shared, is one of SCBWI’s real strengths, and our community here in Australia West really feels like my writing 'home'. I've gained so much professionally and socially and really can't imagine my writing life without SCBWI. Meg: I'm a bit skeptical of advice, often feeling as if anything I have to offer is relevant only to me personally, to my particular circumstances and quirks. But in the spirit of talking to myself, I would probably say something like: Write the stories that won't leave you alone -- the ones that keep you up at night -- even if you don't understand why. Honour your own strangeness and write out of that. Don't let well-meaning advice-givers flatten your unique voice to fit a mold. Don't write what you think people want to read; make them want to read what you write. Ignore all rules (including these). Lee: Can you tell us about getting the manuscript and your process of illustrating Ten Tiny Things? Kyle: When I first received the manuscript, Meg's story really resonated with me and I was interested in doing the illustrations for a story with such a simple and strong idea. In terms of process, I wanted to hand paint the entire book as I don't really like the look of digital illustration so much. I treated the project very much like I was preparing an exhibition. Kyle: For 12 months. It's been a great resource for me to see what's happening with different projects locally and internationally. Kyle: Well I'm still learning myself as Ten Tiny Things was the first children's book I have illustrated so maybe in 10 books time I will pass on some advice. Australia West's Regional Advisor, Frane Lessac, was kind enough to share more about their region and give us the inside scoop on Meg and Kyle's win! Western Australia and the Northern Territory is a huge region geographically. It covers nearly half of the Australian land mass. In an attempt to overcome this challenge for our remote members, we hold an annual 4-day retreat on Rottnest Island. The Retreat is a great way for members to catch up informally and to participate in structured professional development with guest publishers. The West Australian chapter was started in 2002 by Frané Lessac, who has recently returned to the role of Regional Advisor after several years as Illustrator Coordinator. Frané is assisted by ARA Meg McKinlay and Illustrator Coordinator James Foley. Our chapter continues to grow and we now have over 110 members. In 2012 we were proud to become the independent region of SCBWI Australia West, incorporating the Northern Territory of Australia. Given these vast distances, our monthly mailout is an important way for members to keep in touch. I was lucky enough to launch TEN TINY THINGS in Australia and so extra proud to hear they won the Crystal Kite Award. 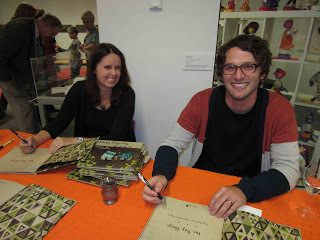 Meg McKinlay and Kyle Hughes-Odgers book is brilliant and members across Australia and New Zealand think so too. Meg or Megastar as I affectionately call her, is one of the most humble authors I know AND the best ARA in the entire world. When Meg first posted on the Ten Tiny Things blog asking, “for some of the tiny things in your neighborhood and to please send photos”, I was so excited about this concept of observing that I immediately ran outside with my camera and within minutes enthusiastically emailed Meg my ten tiny things. I think I was the first contributor. Since then, people from around the world haveposted their tiny things. Please see blog here: http://tentinythings.blogspot.com.au/ TEN TINY THINGS is about being mindful or 'awake' to the moment and the world around you. To appreciate the small things. Often, we miss the little things because we are just too busy and unfocused. The world can just whiz you by in a blur. With TEN TINY THINGS children will become explorers, developing an endless curiosity about the world. Although Kyle may be a newcomer in the world of picture books, he has sure made his mark. Kyle is known around the world as a street artist affectionately called Creepy. He has upcoming shows in Sydney, Berlin and New York. On his website he advertises: paint any surface any time. 24-hour service. He has a unique style; some call it unconventional narrative-driven character-based folk art. I call it ultra cool. When I spoke to Kyle, he said when he was approached to illustrate TEN TINY THINGS, how much it appealed to him, because he’s a walker, an observer. His dad was a walker too and gave Kyle the insightful gift to observe and appreciate the environment since Kyle was a tiny tot. Kyle used acrylic paint on stained wood, creating striking stylized patterns and giving it a retro feel yet space agey. What an delightful change after creating humongous murals on buildings to create a book. To find out more about Meg and her books, visit her website here, and the Ten Tiny Things blog here. Kyle's online home is here. And you can find out more about SCBWI Australia West at their SCBWI page here. Thanks to Meg, Kyle and Frane, and cheers to Meg and Kyle for winning the 2013 Crystal Kite Award for "Ten Tiny Things!" And that is exactly the difference between writing fiction and nonfiction. A novel is like a garden in the desert. You choose this spot and then you water the heck out of it and you work and you work and you make this simple single thing -- you force this plot where there was nothing and you make it all come out of that barren place. Whereas, a nonfiction narrative is to begin with this scrambly, weedy thing we call our life, or some subject, some aspect of life, and then you pull out everything that doesn't belong. That's the challenge. And it's much harder in a way because you have to pull out so much and just throw it away. The temptation, when you're writing, especially something that's like a memoir, something about your own life, is to leave things because that's how they really happened. That's irrelevant. The fact that it happened is irrelevant. The fact that it's funny or entertaining is irrelevant. The only reason to leave it in is that it adds to the story." She goes on to say that a nonfiction narrative requires all the same elements as a novel: plot, suspense, an arc, and then resolution. You have to create all those things, but you can't make them up. 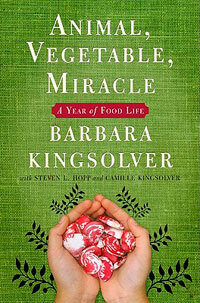 This excellent metaphor is from the interview at the end of the audiobook version of Barbara Kingsolver's first person non-fiction narrative, Animal, Vegetable, Miracle: A Year Of Food Life. (Disc 12, track g, starting at 6:15) and is also cited here. The 2013 Crystal Kite Winner Profiles: Canada East's Jennifer Lanthier for "The Stamp Collector"
2013 Crystal Kite Winner Jennifer Lanthier! Jennifer: The Stamp Collector is a story about the power of stories, and the importance of shining a light where there is darkness. It is a picture book about a boy who collects stories and a boy who collects stamps. They meet as teens when the stamp collector leaves school to take a job as a prison guard and the storyteller is sent to prison for writing a short story. It’s an unusual subject for a picture book but the inspiration came from a very real encounter I had with the exiled writer Jiang Weiping at the offices of PEN Canada in 2009. He had just been released from a Chinese prison where he was sent for a series of investigative articles describing the activities of Bo Xilai, then a very powerful government official. Weiping told us that, in a Chinese prison, the guards are given no information about prisoners or their crimes; the prisoners might be thieves or murderers or poets. He told us that we should write to the imprisoned writers but we should know that the letters would never make it to them – only the guards would see them. Then why write? Weiping replied: because the guards collect stamps. The idea that stamps from other countries could tell a story without words was powerful. Weiping speculated that some guards might be moved to treat their prisoners less harshly if they knew the world was watching, or knew that the “crime” they had committed was one of human rights activism or simply writing. I left that meeting and went home and wrote The Stamp Collector. I was very fortunate to find an editor, Christie Harkin, and a publisher, Fitzenhry & Whiteside, willing to take a chance on such a commercially doomed book. A book set in another land, mostly inside a prison, where one of the two main characters dies? A picture book? But they found the wonderful artist Francois Thisdale and his illustrations transformed it from a story I thought no-one would publish, to a book that, incredibly, won the Crystal Kite! As well, the United States Board on Books for Young People has named it an Outstanding International Book and the International Reading Association named it a Notable Book for a Global Society. It was a finalist for the LIBRIS awards of the Canadian Booksellers Association and for the Amelia Frances Howard-Gibbon Illustrator’s Award of the Canadian Library Association. I also received an Ezra Jack Keats Emerging Writer Honour Award for The Stamp Collector in April and in June I received the Huguenot Society Award from the Ontario Historical Society, given to the book published in Ontario during the past three years that has made the most significant contribution to the discussion of freedom of conscience. A French translation of The Stamp Collector is now underway. Lee: Wow - congratulations on all the accolades! Can you share with us how long you've been involved with SCBWI, and what you feel you've gained by being a member? Jennifer: I think I joined SCBWI for the first time in 2007, when HarperCollins Canada published my first middle grade novel, The Mystery of the Martello Tower, but it might have been in 2008, when they published the sequel, The Legend of the Lost Jewels. I was tremendously excited and honoured and delighted to become a member. I loved reading about other members and found the articles inspiring. Unfortunately, the books did not do well and, over time, I became profoundly discouraged about my abilities as a writer. I stopped writing and eventually I let my professional memberships, including SCBWI, lapse. I told myself I couldn’t justify the expense but the truth is I felt like a fraud. I didn’t have a work-in-progress, I had gone back to work and shuttered my home office and I felt I didn’t deserve to call myself a writer. There were other things going on in my life then – nothing worse than the usual struggles or losses everybody deals with over the course of their lives – but losing writing was tough. One of the reasons I was at PEN Canada that day and met Jiang Weiping was because I had read that volunteering helps stave off or alleviate depression and I had realized I needed to do everything I could on that front. Even when The Stamp Collector was accepted for publication, I still felt hesitant about re-entering this world. I’d gone from writing two novels that were commercial failures to writing an even more certainly doomed picture book. But The Stamp Collector was about me re-affirming my faith in the power of stories and in the very act of writing itself. I had to stand behind it. So I renewed my membership in a number of professional organizations: SCBWI, the Author’s Guild of America, the Writer’s Union of Canada, the Canadian Society of Children’s Authors, Illustrators and Publishers. I’m so glad I did. I was pretty stunned to read the contents. I passed my laptop to my husband and asked him to read it, just to be sure. I truly don’t have the words to express what this means to me. This is a book that almost nobody reviewed – not Kirkus, not Publisher’s Weekly, not the major dailies – so I’ve been really grateful to the book bloggers and the occasional, kind librarian who has gone out of her way to email me. But the Crystal Kite means SCBWI members, people whose work I deeply admire, took the time to read The Stamp Collector and cast a vote and that’s just… staggering. Lee: Thank you for sharing that. Do you have any advice for other children's book writers and illustrators? The only other advice I might offer would be not to second-guess the subject matter of your book. Again, this is more of a “do what I say” piece of wisdom! I feared for The Stamp Collector because, in an industry that thrives on categorization, it doesn’t fit tidily into any drawer. Yet I’ve taken The Stamp Collector into many libraries and classrooms for writing workshops and presentations, and I find kids really engage with the subject. We talk a lot about PEN and freedom of expression (for the record, I think it works best with students from about age eight to eighteen) and kids are generally fascinated to learn about all the groups that work to protect writers, journalists and bloggers around the world. They are appalled to learn that Nobel laureate Liu Xiabo, is still serving time in prison for writing seven sentences. They cannot believe how many journalists have been killed in Mexico. The editors and publishers who rejected this book for publication were understandably worried about its sophisticated subject matter but I’ve found that the younger you are, the simpler it is to grasp the concept of freedom of expression. Kids of all ages express compassion for both the writer and the guard. They understand the characters’ loneliness, their desire to have their voices heard and they understand that a truly happy ending is not possible here. But they also see the hope. The Stamp Collector is a wildly improbable book, but I’m glad I persisted. And I’m so grateful to the members of SCBWI for believing in it. What a story behind the story! Thanks, Jennifer. Canada East is a large geographic region with about 325 members. We have at least one large conference each year, and smaller volunteer-organized informal gatherings throughout the year. The rest of the time we hang out online together on our Yahoo listserve, illustrator members' blog, and chapter Facebook page. 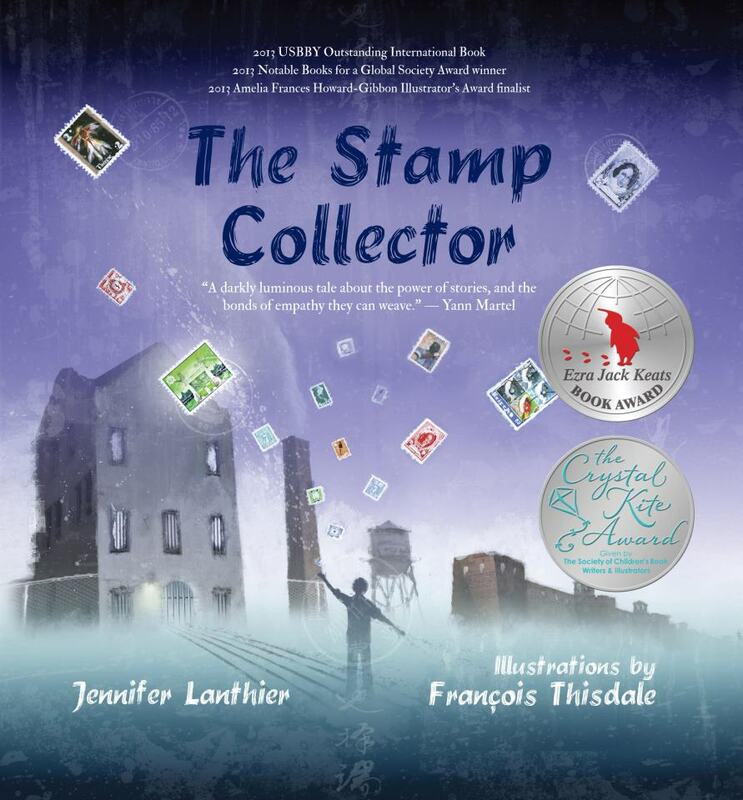 Jennifer Lanthier's "The Stamp Collector" has won many awards and accolades including the Ezra Jack Keats New Writer Honor and being named to the United States Board on Books for Young People (USBBY) Outstanding International Book honor list. We're really pleased that the SCBWI Crystal Kite is among the awards her book has received. Jennifer has been a member since 2006. And to learn more about SCBWI Canada East, visit their online home. Thanks to Jennifer and Lizann, and cheers to Jennifer for her Crystal Kite win for "The Stamp Collector!" 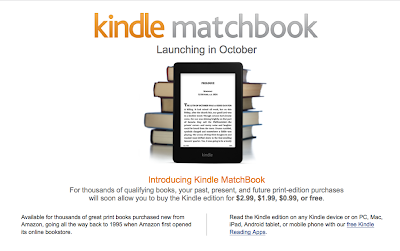 Amazon: "Would you like the e-book with that?" I remember burning hundreds of CDs to get the songs I already owned in one format into my now-digital system, because I didn't want to buy (at full price) all those albums again. But if a music retailer had offered a good deal on simply downloading the albums, they would have made money on it. And I would have saved all that time. So in publishing, what if when you bought a physical copy of a book, you could get the e-book at a big discount, maybe even for free? 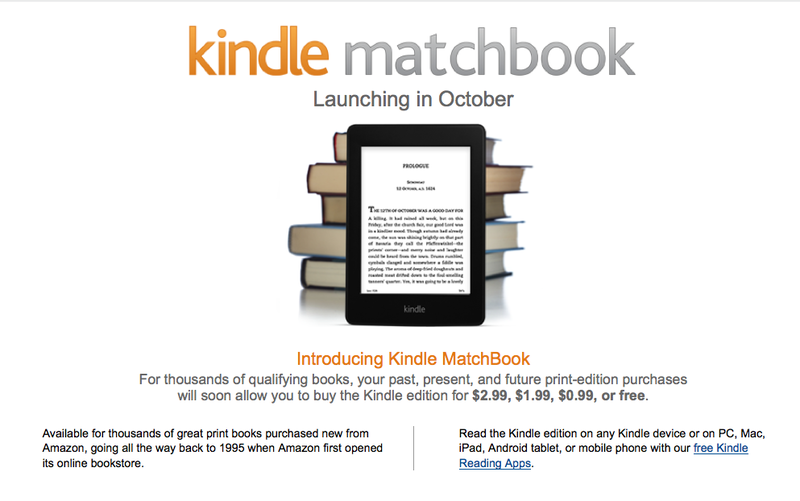 What if they offered $2.99 or less e-book versions of all the new hard-copy books you've purchased in the last 18 years? Now, mind you, this doesn't cover all book purchases, as Amazon has partnered with only a select few, unnamed publishers. That being said, some 10,000 titles will be available in October, including works from Ray Bradbury, Michael Crichton, Jodi Picoult, Neil Gaiman and Neal Stephenson, amongst others. What does it mean for publishers? For indie bookstores? For readers? And for us authors and illustrators? We'll all be watching how this plays out, but it's another interesting development as our industry moves into the future. 2013 Crystal Kite Winner Benjamin Martin! Lee: Please Tell us about Samurai Awakening. 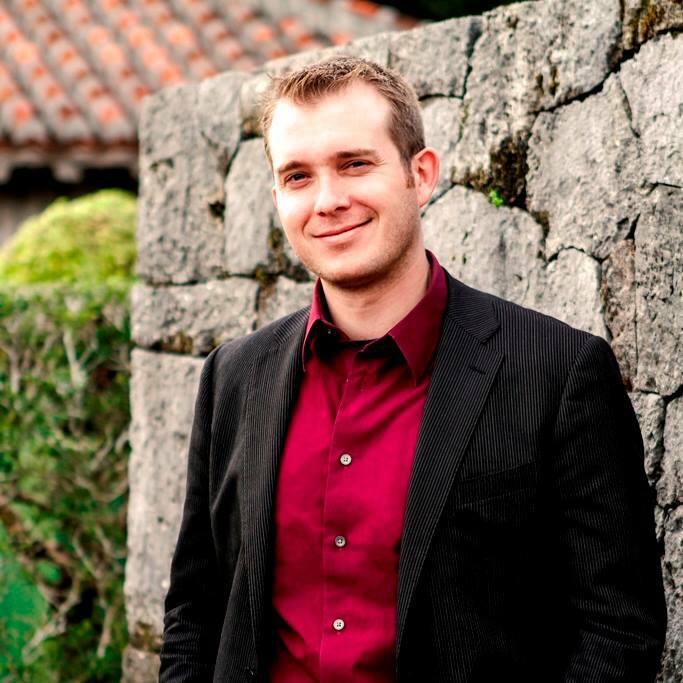 Benjamin: The Samurai Awakening series is the culmination of my time teaching on small islands in rural Okinawa, Japan. I moved to Japan in 2008 to teach English, and quickly found myself in the midst of amazing new experiences and a rich culture I wanted to share. 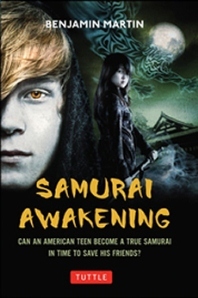 Samurai Awakening was my debut novel and is a mix of my experiences, Japanese mythology, and pure fantasy. I started writing in 2010 and it placed in the top 1% of the 2011 Amazon Breakthrough Novel Award contest. The series continues with Revenge of the Akuma Clan in the Autumn of this year. From The Jacket: David Matthews is having a rough time. Being a teenager is bad enough, but when he picks up and moves to Japan for a year, with barely any knowledge of the language or social behaviors of Japanese teenagers, things go from bad to worse. Until one day, David attends a temple ceremony and finds himself possessed by a Japanese god. Suddenly, he can understand and speak Japanese. He has unbelievable new powers, including the ability to shift into a tiger, and a powerful sword he can materialize at will from its sheath—his body. But nothing comes for free, demonic oni and terrifying ghostly yurei. Trained by his host family, famous sword-makers and the keepers of an ancient secret entrusted to their family by the first Emperor of Japan, David must fight desperately to save his host sister from a hoard of Japanese monsters. Evil has returned to Japan, and David must overcome his own insecurities if he is to save her and become a True Samurai—the protector of Japan. Lee: Sounds very cool! How long have you been involved with SCBWI, and can you share what you feel you’ve gained by being a member? Benjamin: Having written a novel with no background in writing and no local support (I was on an island with a population of 550 people), I began reaching out to friends, teachers, and online for some way to learn about what to do with my initial story. One of my high school English teachers pointed me to an author friend of hers, who pointed me to Verla Kay’s Blueboards, the discussion group that is soon to merge with SCBWI’s own boards. That connection led me to SCBWI in 2011. As soon as I saw the unique connection and support amongst the children’s writing community I knew I wanted to be a part of it. Since joining I’ve benefited from the publications, news, and community in Japan and abroad. I was thrilled to be able to attend the South West region’s conference when Samurai Awakening debuted last year and look forward to learning and sharing in the years to come. The biggest thing I’ve gained from SCBWI is the sense of community and positive support. I love reading about the successes of fellow members and it is an honor to be recognized by such a diverse group of talented and welcoming people. Benjamin: The readers of this blog have already followed the very first piece of advice I could give. Find a community of people willing to listen and give advice. There are very few real experts when it comes to books. Great stories don’t always become books, and some books aren’t all that great. We write for different reasons, and see words in different ways, so I find it incredibly important to get perspectives outside my own head. My experience in the publishing world is unique, so I won’t join the throngs of people telling you “how to get published.” I will say, “Good luck.” If you have a story to share, find a way to share it. Someday, it might lead you in unexpected directions. Congratulations, to Ben, one of our Okinawa members! The Japan Writers Conference will be held in Okinawa in November, and we look forward to Ben's participation in the SCBWI sessions at that annual event. SCBWI Japan (formerly SCBWI Tokyo and SCBWI Okinawa) has about sixty members. We have monthly events usually on weekend days or evenings including guest speaker events, workshops, creative exchanges, gallery exhibitions, sketch and word crawls, and networking nights. We also have all-day events with guest editors, agents, authors and illustrators, and SCBWI Japan is the first SCBWI region to have a Translation Group, which focuses on the translation of Japanese children’s and YA lit into English. Our SCBWI Tokyo members are a mix of Japanese nationals and residents of Japan from around the globe. Our newsletter (www.scbwi.jp) includes interviews and features relating to Japan and Asia. SCBWI Japan plays a prominent role in the Japan Writers Conference and the Asian Festival of Children's Content (AFCC) in Singapore. The Asia SCBWI chapters are growing, and I'm certain we’ll soon be seeing more and more children’s and YA lit coming from Asia—both local-language and English-language stories set in and related to all the different corners of Asia. To find out more about Benjamin, visit his blog more things japanese. To learn more about SCBWI Japan, check out their website. Thanks to Benjamin and Holly, and cheers to Benjamin for his Crystal Kite Win for "Samurai Awakening!" Illustrators, check out this excellent (under 7 minute) video on putting together your portfolio. You can find out more about Susan and Mary at their websites, Susan Eaddy and Mary Uhles.